Stereocool: Mind Map and mapping ideas. Mind Map and mapping ideas. A mind map or mind mapping is a series of diagrams that represent ideas, words, tasks or any other element necessary to create a main idea, key or central word. This kind of mind map is used in several businesses now a days to classify, organize, visualize decisions, to solve problems and to study an idea. The elements of any give mind map or mind mapping are arranged depending of the concept to study, can be classified as groups, branch or areas. Also the diagram of the mind map has its own structures, it can be radial, graphical, linear, non-linear mind maps, depending of the organization goals and tasks. For example in advertising companies and design houses, brainstorming is a very effective and important piece of mind mapping, to get the very best idea for an advertising campaign. With the mind map or mind mapping, your company will prioritize the most important concepts, associating the mind map to the specific task needed. 1. User colors to differentiate your set of keywords in the mind map. 2. Start at the center of the page. 3. 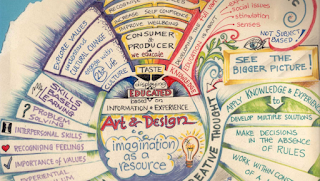 Use images and codes throughout your mind map. 4. Separate keywords with upper or lowercase letters in your mind map. 5. Divide the mind map diagram in a way each idea has its own line. 6. Develop your own style of mind mapping. 8. Define your own order of hierarchy in your mind map. Radial or numerical are very good for starters. Mind mapping is very important in businesses and organizations because is a very fast method when looking for ideas and concepts. Throughout the history several kinds of mind maps were used by companies and professionals. Memory, problem solving, brainstorming, visual thinking, and other set of diagrams are good examples of old mind maps. The good thing about mind mapping is that you can create a mind map for many applications, not only for business, mind mapping can be applied for personal, family, educational situations. Mind Map is so popular now a days that is specialized software you can purchase and use for a variety or purposes. A mind map software can be used to organize a big quantity of information, and can help the individuals to mind map not only thoughts and ideas but also to add them into the computer and the internet.